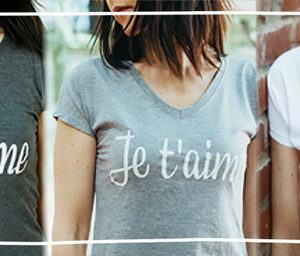 Love is in the air with this super soft t-shirt designed made with amour in LA. Size: XS, S, M, and L.
Colors: dark heather grey, white and heather grey. Shipping and Returns: No return. No refund. No credit.